Sukhothai, Thailand – November 17, 2013: View to the ruins of Wat Mahathat in Sukhothai Historical park, Sukhothai, Thailand. Buddha statue in old Buddhist temple ruins. 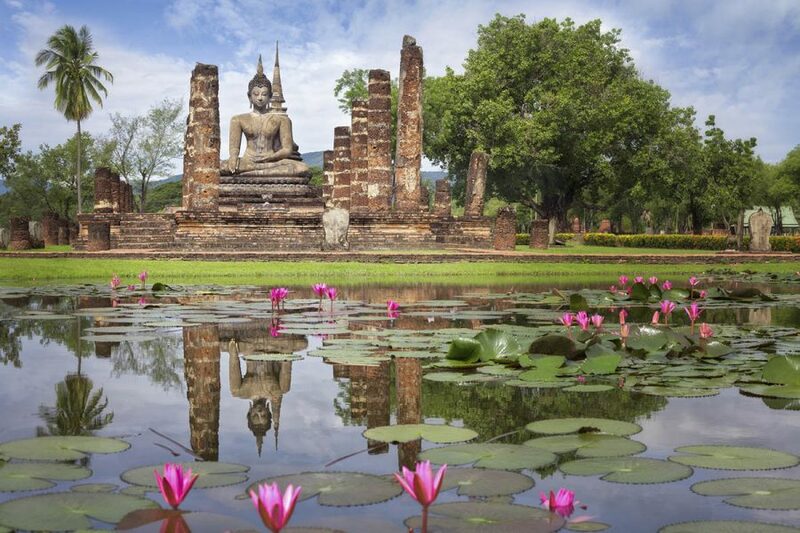 Buddha statue in Sukhothai historical park Wat Mahathat.